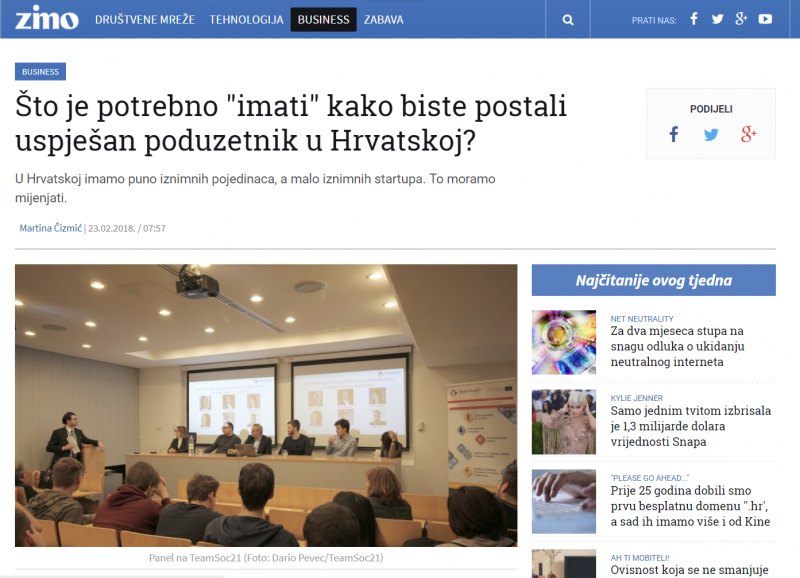 Local Croatian news portal “Zimo” did a coverage of TeamSoc21 Multiplier event in two of their articles. First one is about a panel discussion that was held during the second part of multiplier event on the topic of “Knowledge, creativity and entrepreneurship: from high school to university”. Second article is about the TeamSoc21 project and the multiplier event where the project was introduced.